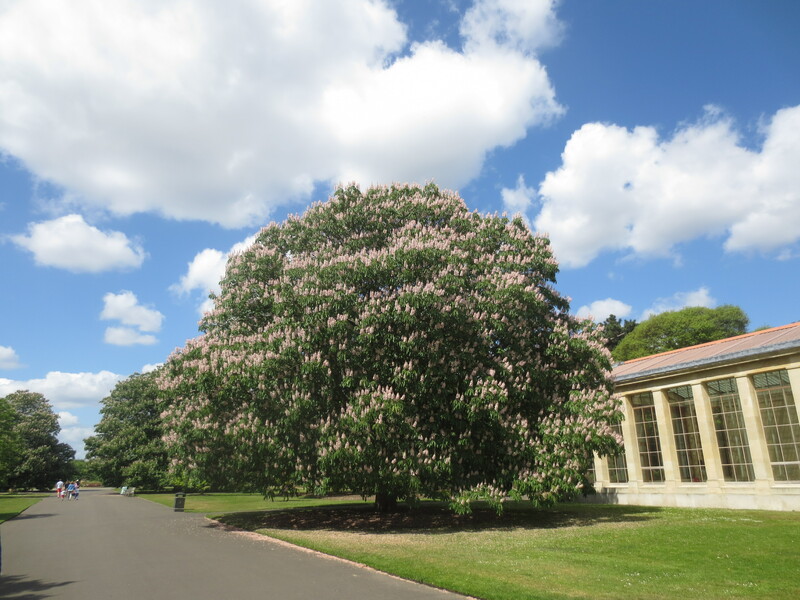 It was a lovely sunny morning for my June visit to Kew for the ‘A Year in Kew Gardens’ project on the blog. Such a lot had changed in four weeks. 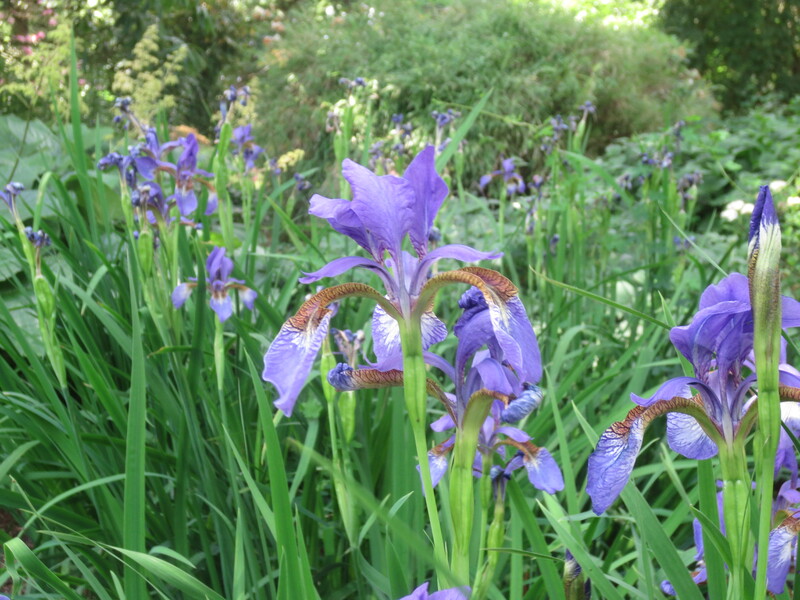 The bluebells had died down, the wisteria flowers had gone and there wasn’t a tulip in sight. 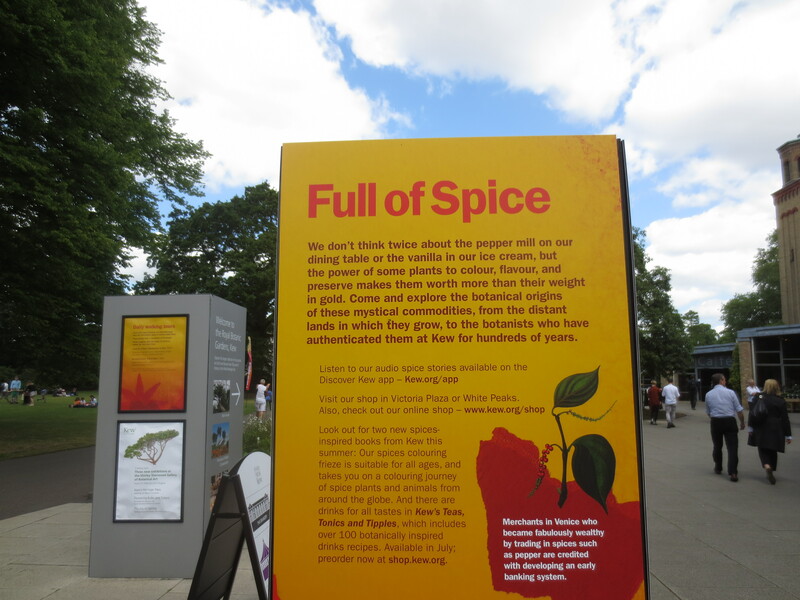 However, there was riot of colour everywhere heralding the coming of summer and a new festival had arrived in the form of spice: Full of Spice is running until 9 September. 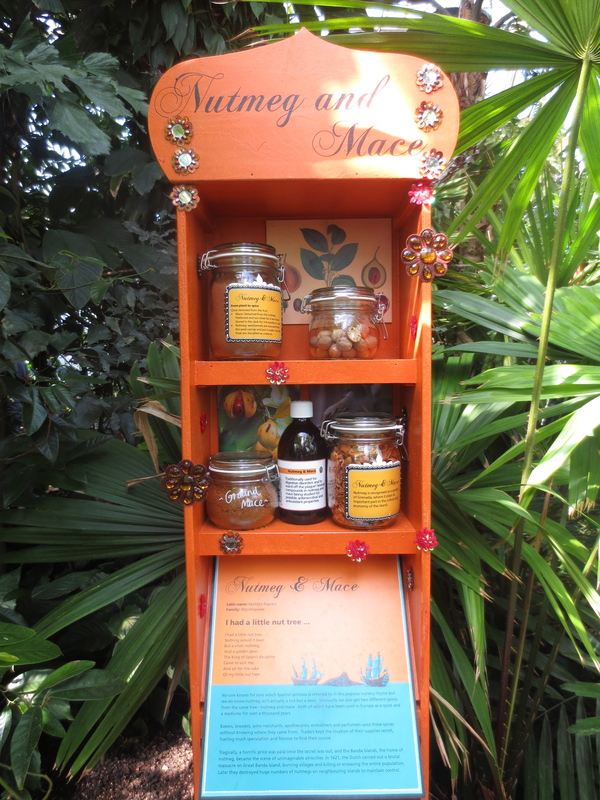 There are lots of wonderful events connected to this celebration of all things spicy. 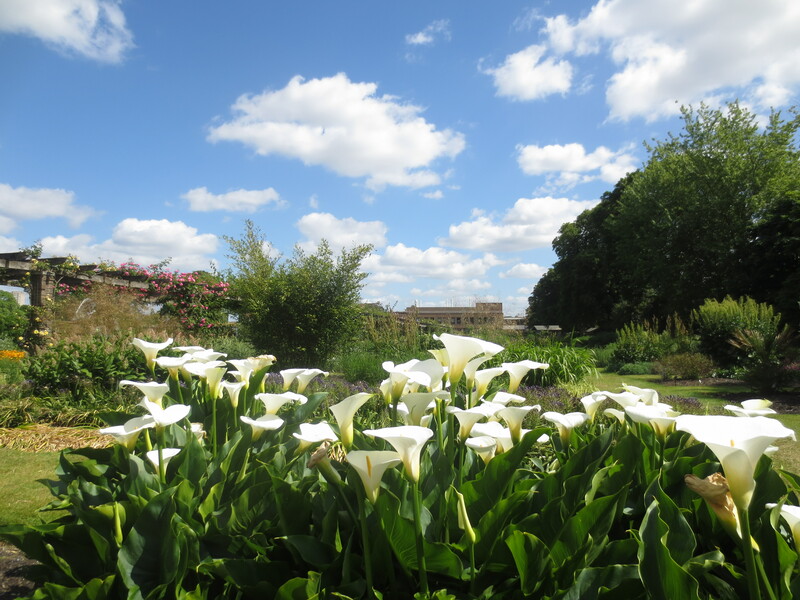 There are Spice Tours at 12 noon and 2pm every day and some Spicy Lates on Wednesday evenings through to 1 July when you can explore a world of spices after dark and see Tai Chi in the Rose Garden and enjoy live music and spicy street food. 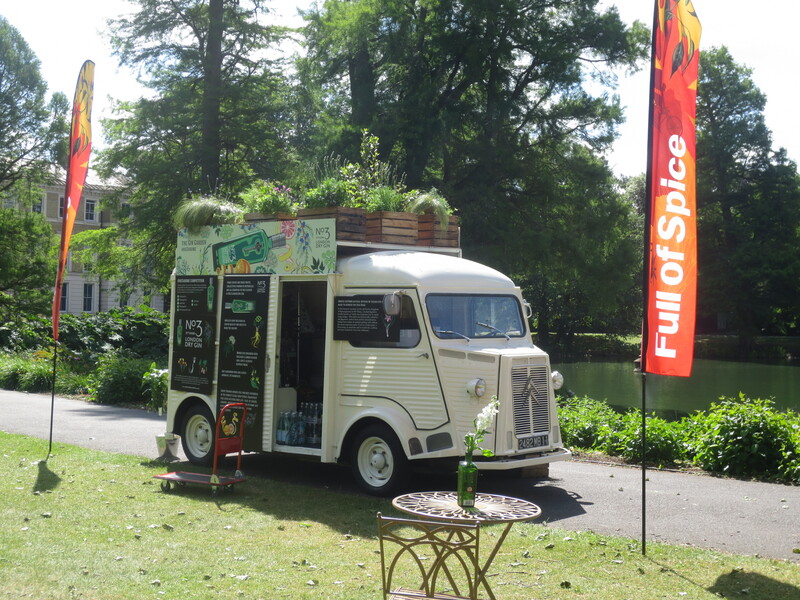 A Gin Van is open at weekends and bank holidays selling spicy G&Ts, gin cocktails and non-alcoholic drinks. 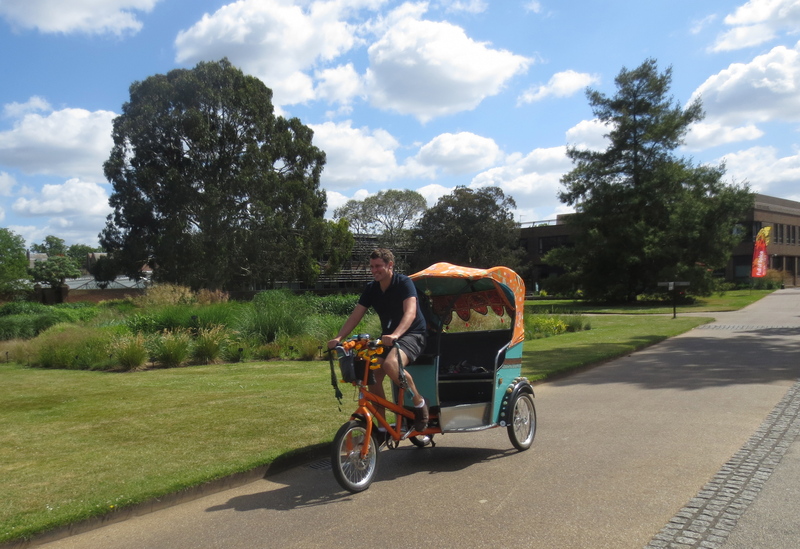 The restaurants and cafés are serving special spice dishes and you can even take a ride on a Spicy Rickshaw (£8.50 for 20 mins; advance booking needed). 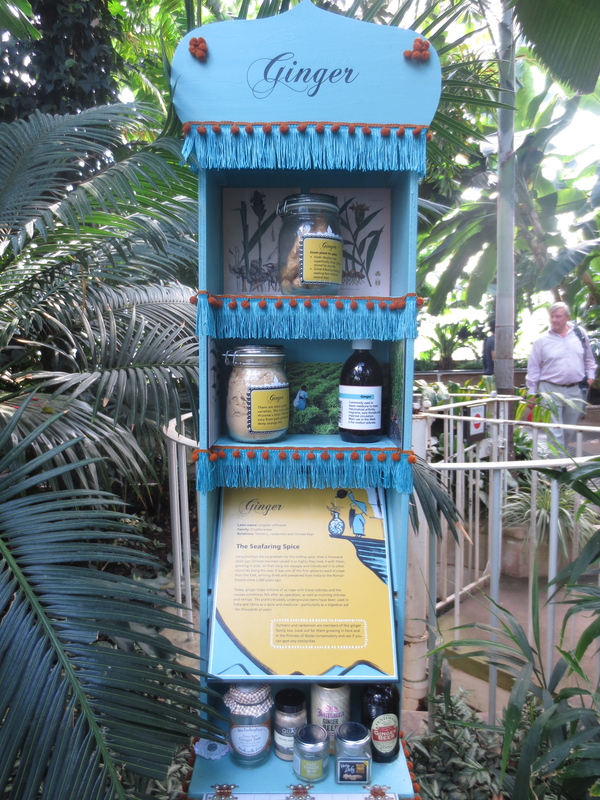 In the Palm House you can see spicy plants like Tumeric, Black Pepper, Ginger and Nutmeg growing. 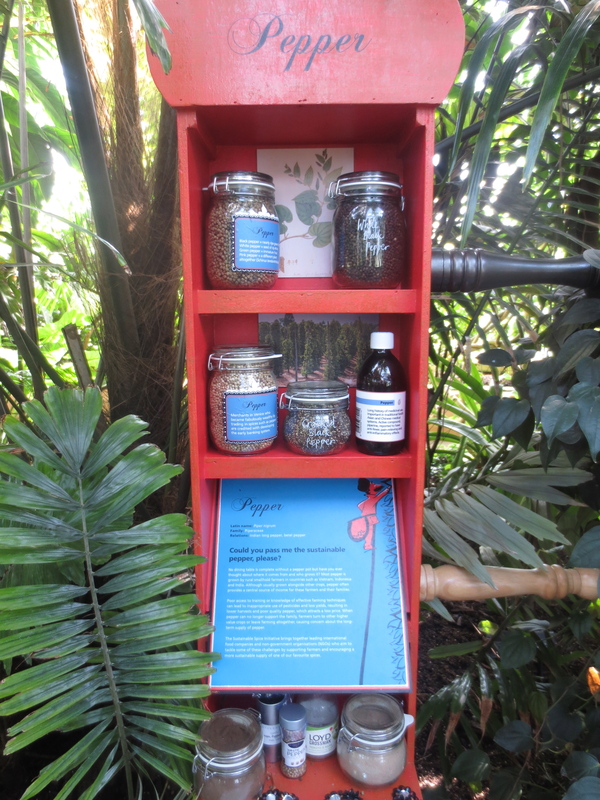 A display by the plants gives you lots of information and there’s a small box you can open to smell the particular spice. As you can imagine, lots of kids were having fun with these – and some of the grown-ups too! 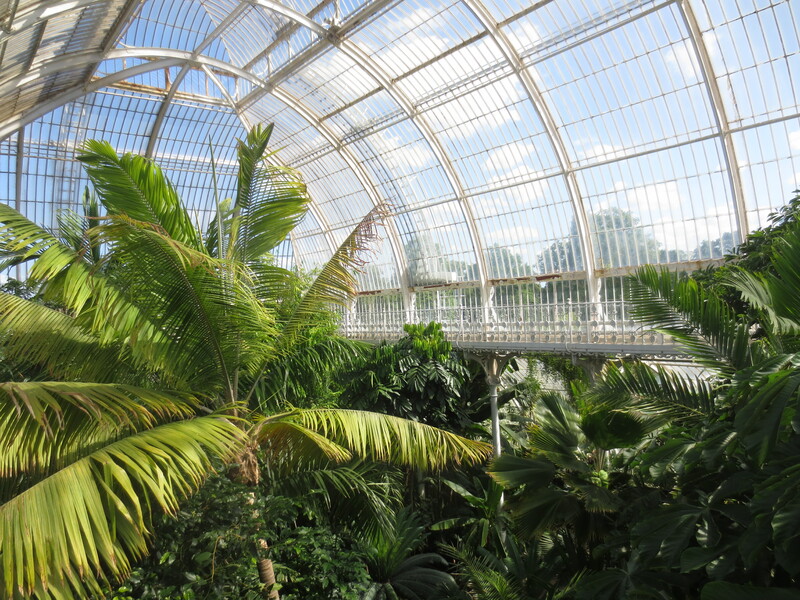 It was such a lovely day and with the sun pouring into the Palm House I decided to climb the spiral staircase to walk round the gallery. 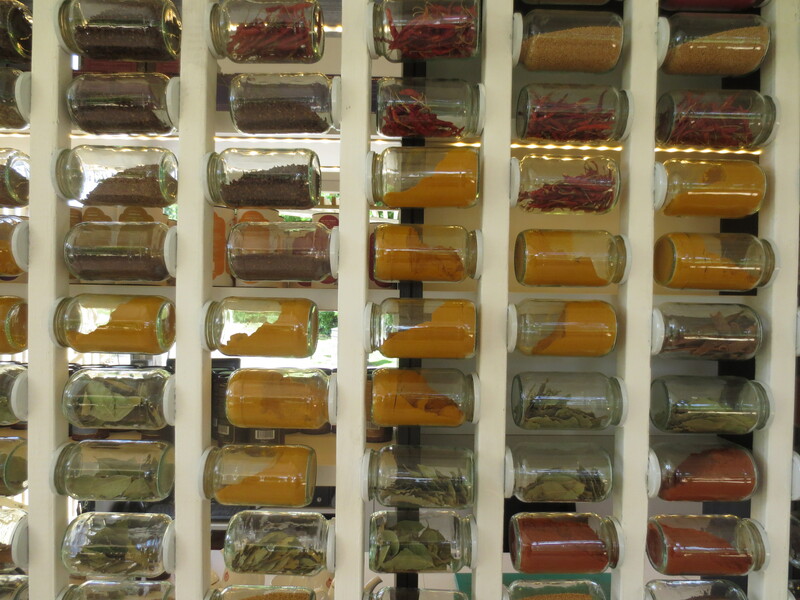 In the Spice Exchange you could see thousands of spice jars filled with different spices. On Sundays there are World Music afternoon sessions there. 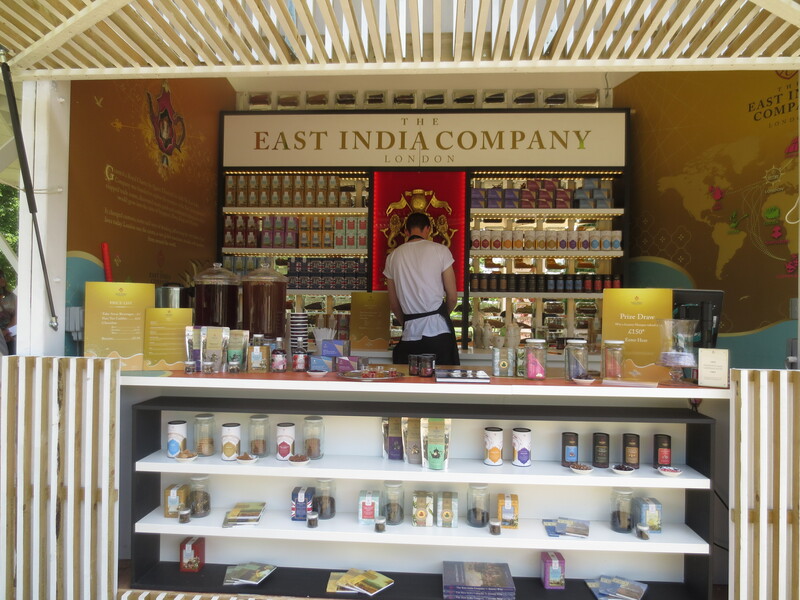 At an East India Company stall you can buy teas, spicy chocolate and jams with added spices. After all that spicy excitement I decided it was time to move on to something more calming. 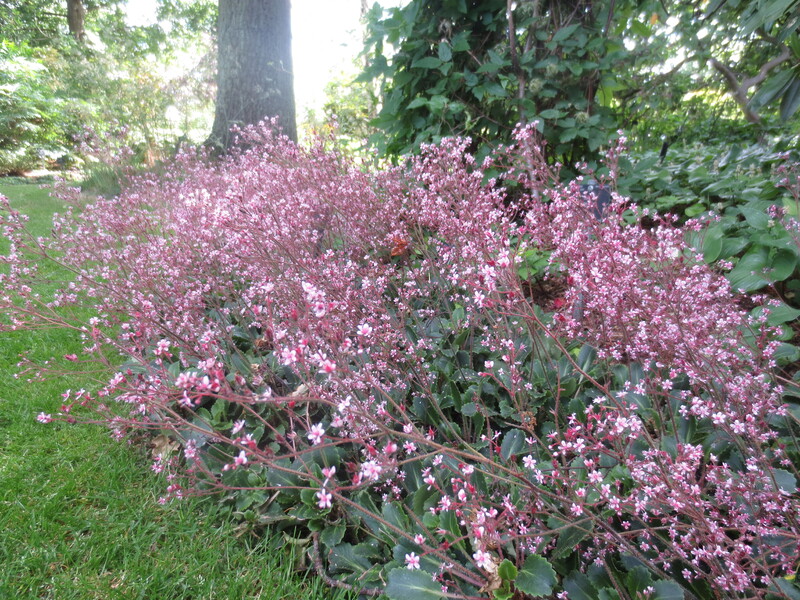 In the Woodland Garden I found pretty Saxifragaceae. It looked a little as if rope had been carefully wrapped around it in spirals. 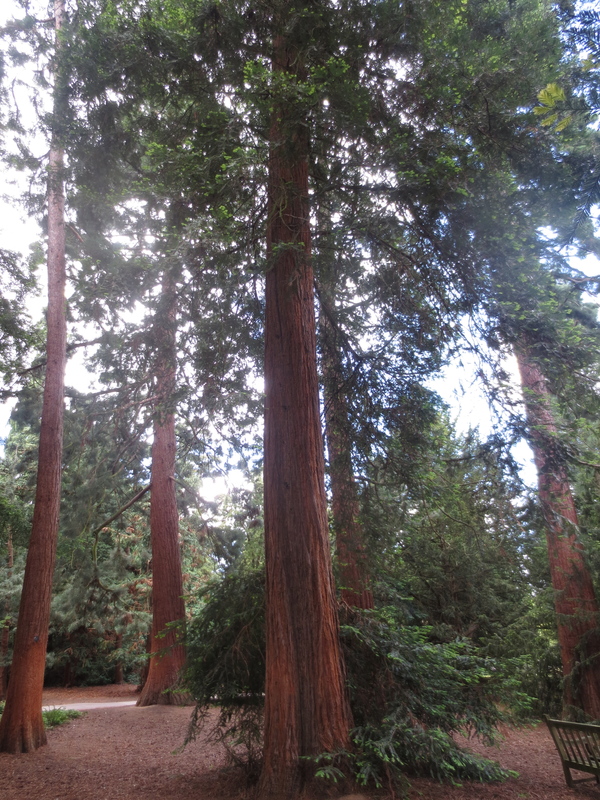 I was so far across the Gardens from where I’d started I decided to keep going into the Redwood Grove; I hadn’t looked at the Redwoods for some time. Within this wooded area I became a bit disorientated. OK – I was lost. There was no one much around and I felt a bit like I was entering some kind of fantasy world and any moment an elf or woodland creature would pop out at me. Fortunately it was a man who appeared. Well actually he was sitting on a bench and called: ‘Are you lost?’ I felt a bit ridiculous. 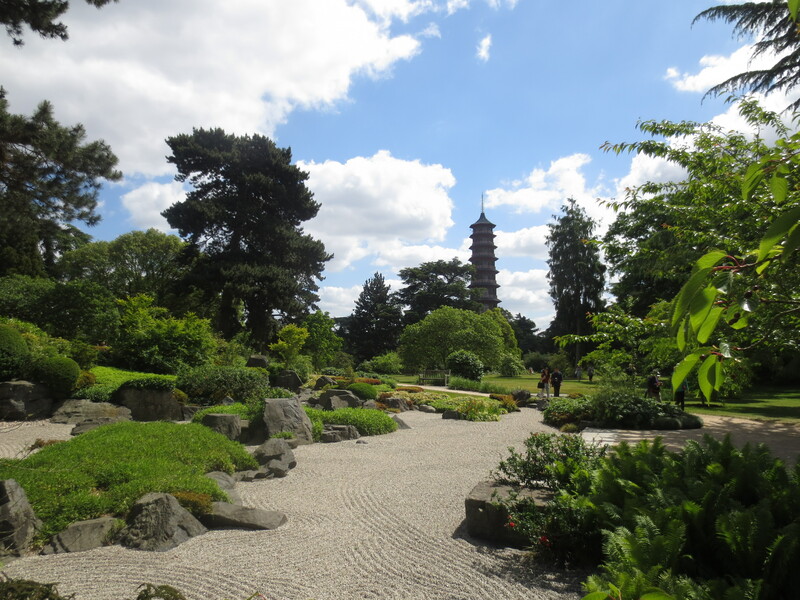 Just how many times in many many years have I walked round Kew Gardens. ‘I always get lost in this bit,’ he kindly reassured me. 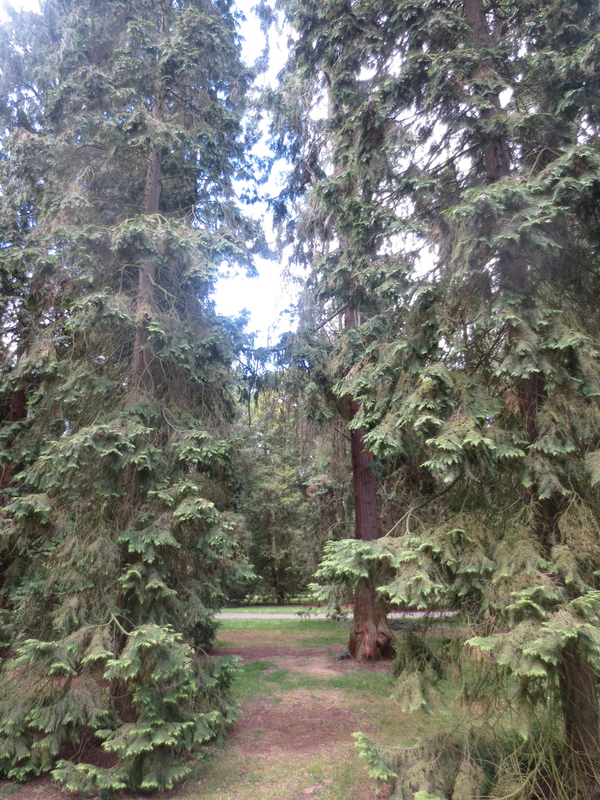 And then directed me towards the Redwoods. 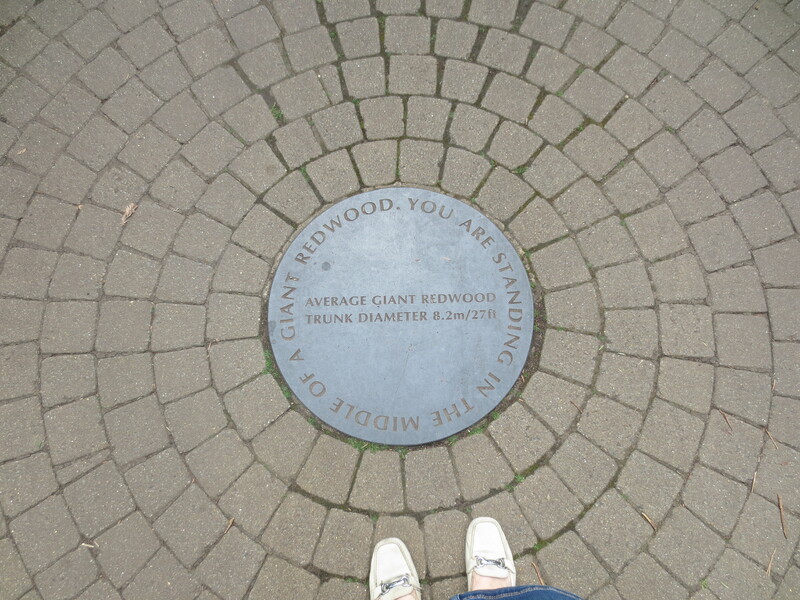 A plaque informed me that the diameter of the average Redwood trunk is 8.2m/27ft. Wow! They are AMAZING. And I was so lucky to have some time with them all on my own. 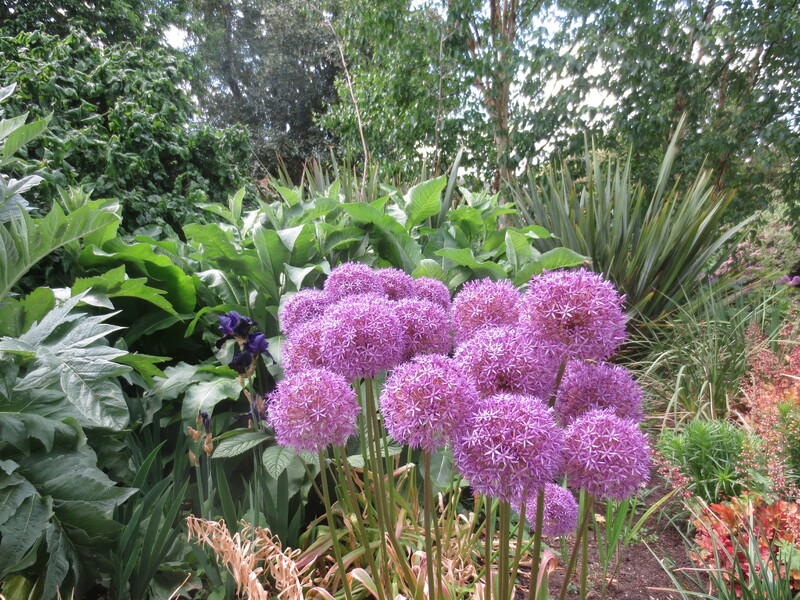 I’d been in the Gardens for a couple of hours; walked over 5km according to the pedometer on my iPhone. Time to head back to Victoria Gate and home. I passed near the Pagoda and Japanese garden. 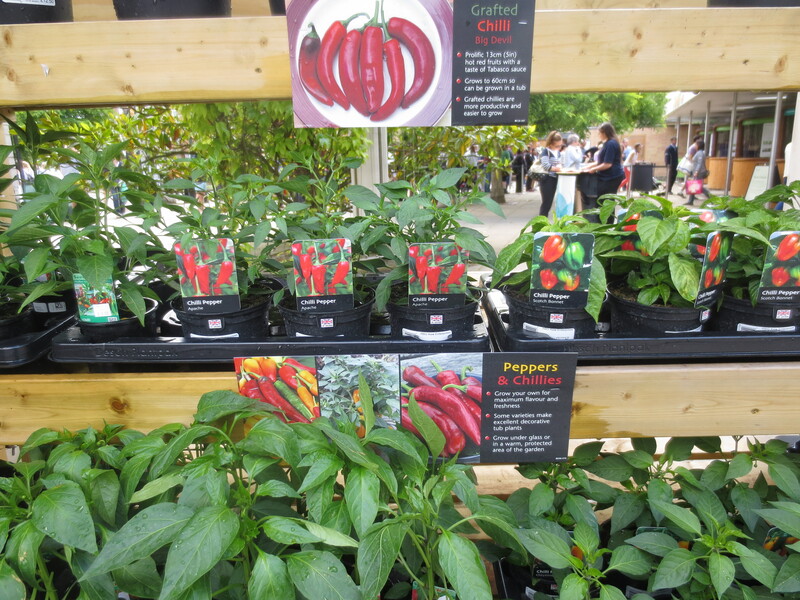 I decided to give the plants a miss – last time I tried to grow a chilli plant it wasn’t a success. 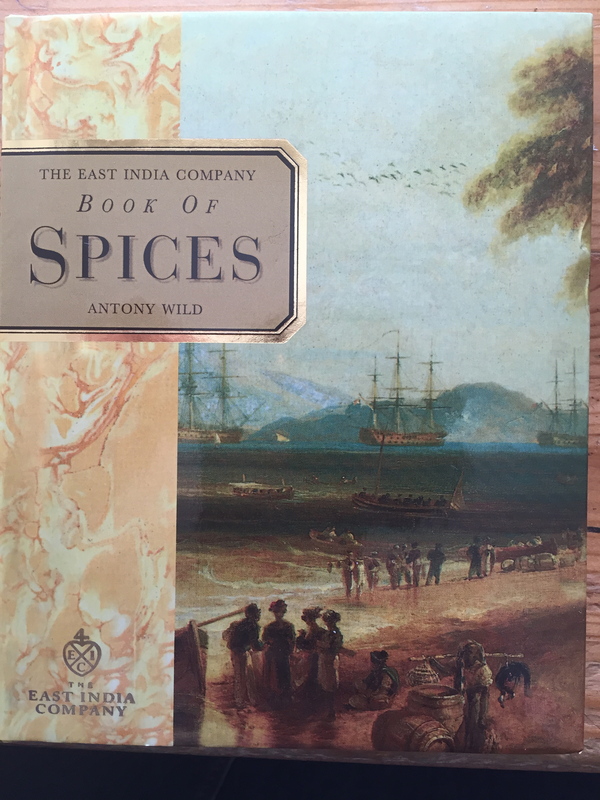 But I did buy a book about spices from the East India Company stall. And I really think I want to go back for one of the Spicy Lates one Wednesday evening. 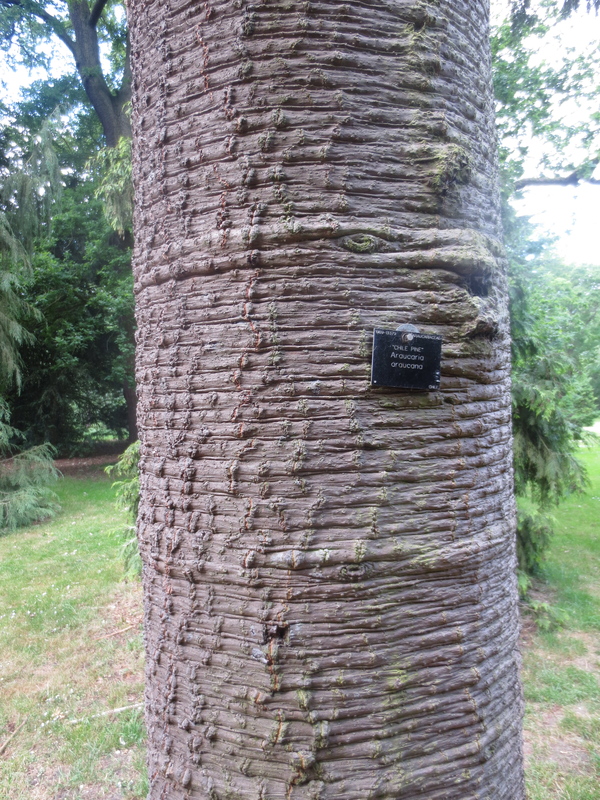 What a lot of great stuff is going on at Kew Gardens this month. I don’t think I’ll be waiting another month to go back! 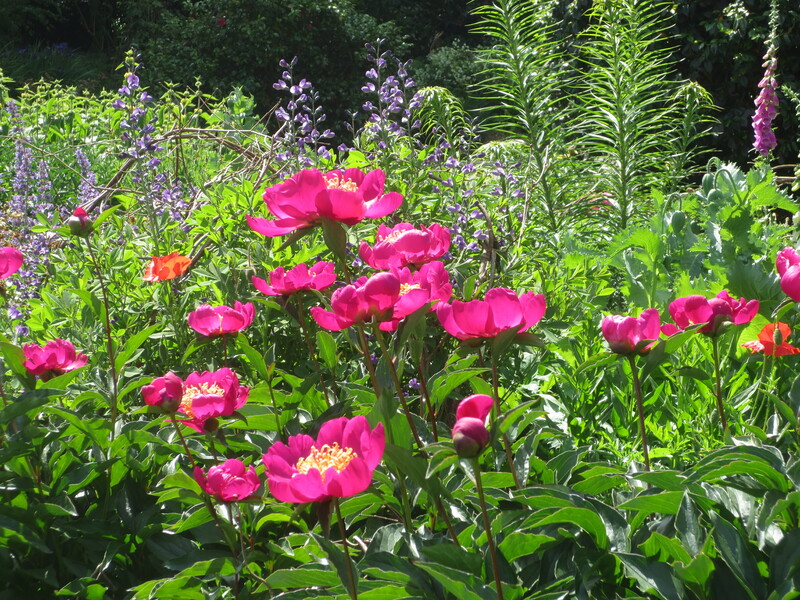 I enjoy reading about the different walks you take in this beautiful garden. 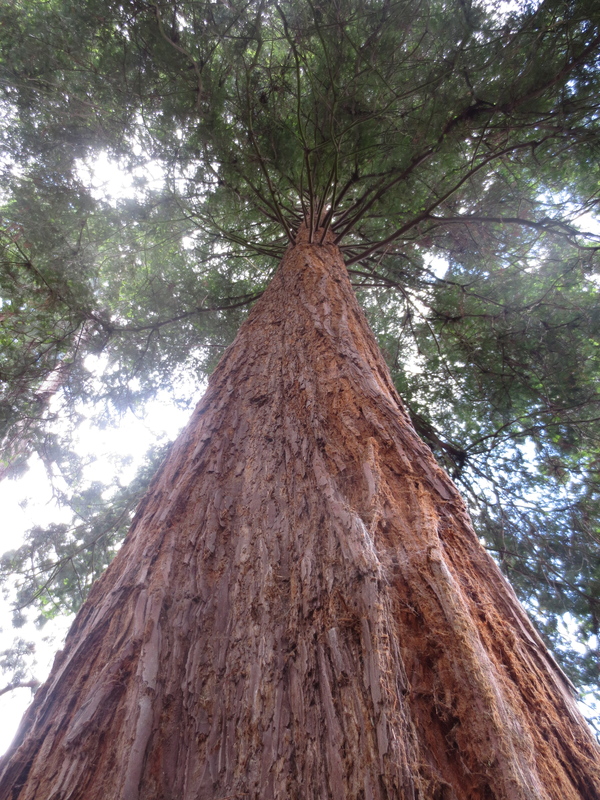 Redwood groves are my favorite and we have a few left here on the California coast. That spicy Late sounds great. Thank you Gerlinde. 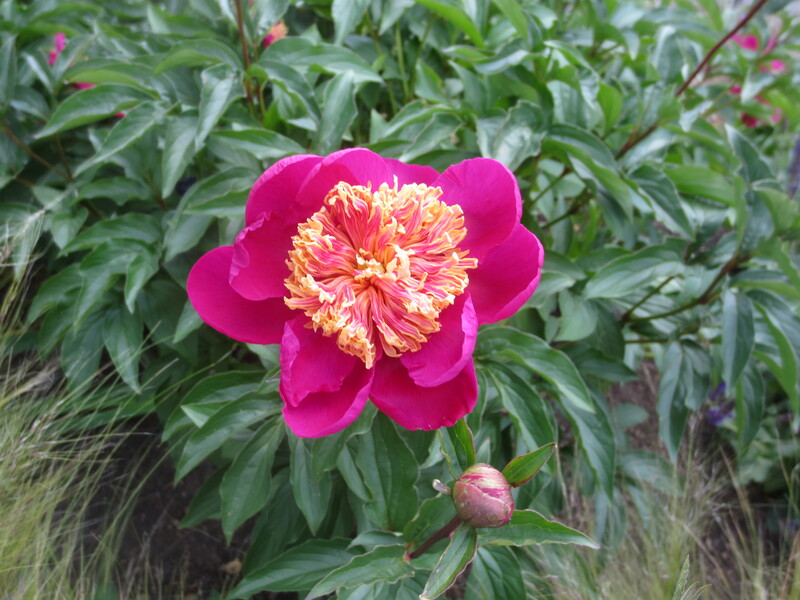 It’s so nice to share the walks with you and June is a brilliant time of year to visit the gardens.